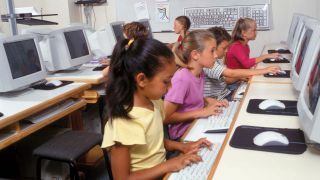 CDI Computer Dealers, provider of classroom-ready technology to schools, has partnered with Parlay to bring its new online classroom discussion tool to schools throughout North America. CDI Computer Dealers, provider of classroom-ready technology to schools, has partnered with Toronto-based Parlay to bring its new online classroom discussion tool to schools throughout North America. CDI partners with educators in schools and districts across North America to deploy and support classroom technologies. The company provides student and teacher devices, a wide range of classroom technology and instructional tools, professional development, deployment services and warranty programs. Parlay helps promote meaningful student discussions while teaching digital citizenship and helping teachers measure student engagement. The program offers a library of discussion prompts called the Parlay Universe and two classroom activities called Live RoundTables and Online RoundTables. Parlay and CDI will host a webinar at 2 p.m. Eastern Time on Nov. 27, 2018 in which McDonald will explore how class discussions can be used to transform the modern classroom. For more information and to register, visit https://goo.gl/u6nSkZ.